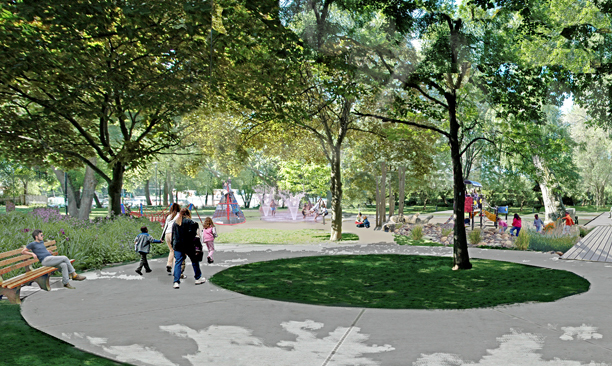 Neshama Playground - PMA Landscape Architects Ltd. 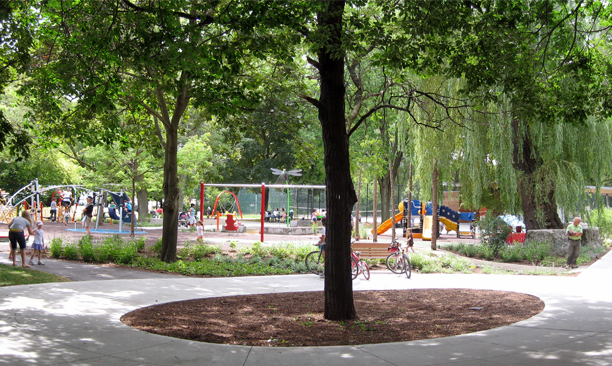 The goal of the Oriole Park revitalization is to provide exemplary play opportunities for children of all abilities in a manner that fits within the scale of this neighbourhood park. 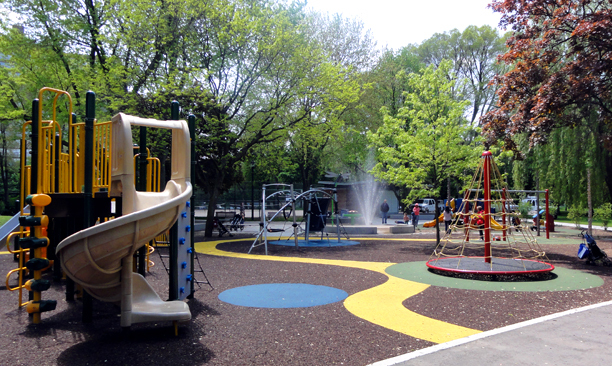 Neshama Playground is a public-private partnership with the City of Toronto and the community of agencies servicing our disabled community that will create a community where everyone belongs. Neshama promotes a zero rejection policy, where no child is excluded for reasons of a disability. Recognizing that individual abilities vary significantly in terms of functionality, desires, strengths, and needs, Neshama will consider progressive layout design and equipment elements that address a broad range of challenges and meet the needs of all children. Accommodations for children and parents with disabilities, including accessible parking, washroom facilities, pathways, and seating. 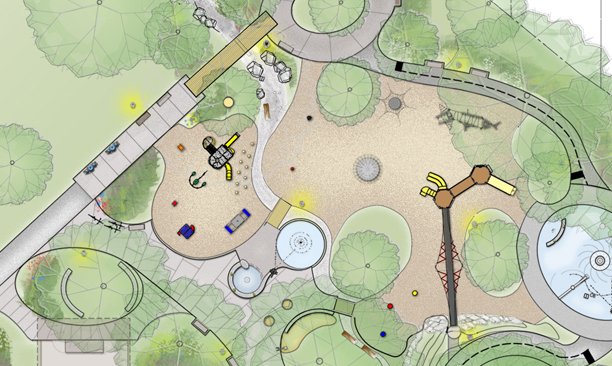 Neshama continues to work in consultation with community organizations servicing our disabled children to ensure that the playground’s conceptual plan addresses the needs of their constituents. The playground includes a new accessible play structure, custom water table, natural play areas, rubber surfacing, accessible and belt swings, and a new water play area.